I agree with Devin Faraci over at Badass Digest that I just don’t see Denis Leary as an obvious candidate for the Spider-Man reboot’s Captain Stacy, who’s the father of Peter’s first true love, Gwen Stacy, who’ll be played by the beautiful Emma Stone. And that’s probably why his casting is so brilliant. Heat Vision reported the exclusive news last night, and it remains to be seen how large of a role he’ll play in the film’s story (or what the story will even be, for that matter). Previous news and views on the new direction of Spider-Man on film can be found right here. 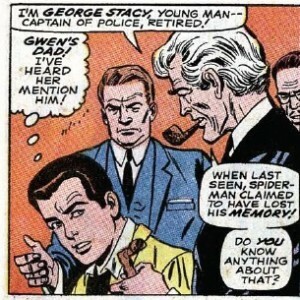 And while you’re over at Badass Digest, check out Devin’s take on this outrageous nugget of Spider-Man insanity. You’ll never be the same … but you might buy a plane ticket.